William Lawson (2 June 1774 – 16 June 1850) was an explorer of New South Wales, Australia. He helped discover a passage inland through the Blue Mountains from Sydney. Lawson was born in Finchley, Middlesex, England. He is the son of Scottish parents. Lawson came to Sydney as an ensign with the New South Wales Corps in November 1800. He was soon posted to Norfolk Island. After 1808, Lawson was appointed aide-de-camp to George Johnston. He was given 500 acres (2 km²) at Prospect. He built a 40-room mansion there. 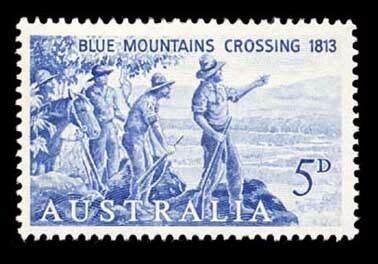 In 1813 Lawson, with Gregory Blaxland and William Wentworth, led a trip west from Sydney to cross the Blue Mountains. They left on 11 May 1813 with four servants, five dogs and four horses. The route they travelled is still the one used by travellers today. On 31 May 1813 they reached Mount Blaxland and could see the plains to the west. In 1819 Governor Lachlan Macquarie made a new settlement, Bathurst. He made Lawson commander of the Bathurst settlement. Lawson had this job until 1823. From Bathurst, Lawson explored as far north as Mudgee. After leaving the army, Lawson was a member of the New South Wales Legislative Council from 1843 to 1848. He died at Veteran Hall on 16 June 1850. The town of Lawson in the Blue Mountains is named for him. ↑ 1.0 1.1 E. W. Dunlop. "Lawson, William (1774 - 1850)". Australian Dictionary of Biography, online edition. Australian National University 1. Retrieved 2006-08-29. ↑ 2.0 2.1 Percival Serle. "Lawson, William (1774-1850)". Dictionary of Australian Biography. Angus and Robertson (1949). Retrieved 2007-07-15. This page was last changed on 7 August 2013, at 09:00.